Today, I want to share the top 20 Gano Excel products, as I see it. Gano Excel is a network marketing company that grows, processes and markets products that are based with Ganoderma Lucidum. Ganoderma Lucidum comes from oriental mushrooms, and has been used as a natural Chinese medicine for over 2,000 years. Gano Excel was created to provide the world with the advantage our oriental friends have had for years. Rather than cover every product in their product line, I am going do a review of the top 20 Gano Excel Products. I am using a variety of resources to prepare this list. They include sales figures, online reviews, family and friend recommendations, and my own choices from the few products I have used in the past. It is important for you to know that neither I, nor Chuck at Online MLM Community is affiliated with Gano Excel. This product review is given for your reference and we gain no benefits from Gano Excel in writing this. You may, or may not agree with this list. That is perfectly fine with me. You are free to tell us your favorite Gano Excel products in the comments area at the end of this post. Or, if you have any other suggestions you would like to share, feel free to do so. For years upon years, the Chinese have used Ganoderma for treatment of diseases and to keep good healthy properties in their bodies and minds. In 1985, Mr Leow Soon Seng began to research the best ways to grow the fungi that provide Ganoderma Lucidum. He also studied the best ways to bring about the therapeutic effects through extraction and manufacturing. After 10 years of research and development, Mr Leow Soon Seng launched Gano Excel in his first store in Malaysia. Known for a coffee that carries the Ganoderma extract, Gano Excel has veered into a wide range of product avenues that have the extract. From coffee to personal care items, we will now tell you our list of the top 20 products, but do not let that stop you from trying other Gano Excel products, because over all, it seems they have great products. This wonderful toothpaste developed by Gano Excel has the Ganoderma Lucidum as a base, and it is less abrasive than the majority of toothpastes on the market. It offers the health benefits of Ganoderma and also freshens your breath, along with preventing tooth decay and cavities. All of this and a fresh mint flavor. This a somewhat new product developed by Gano Excel. It is a drink that enhances the collagen in your body. Collagen is what helps to get rid of wrinkles and age spots. Collagen is a protein and Bellagene has small amounts of fish collagen peptides in it. Bellagene is a strawberry juice drink that has aloe vera extracts, grape seed extract and Vitamin C. This drink helps your skin and tastes fantastic. It is claimed the skin improvements are quite visible after 2 months use of Bellagene. While others are rubbing items on their skin to help, you can simply drink strawberry juice and receive the skin help you need. Gano Excel brought together the Ganoderma extract with goat’s milk to create a soap that can refresh your body. Ganosoap has an enrichment of Vitamin E and other needed minerals to repair your skin’s properties. The Ganosoap cleans, moisturizes and beautifies your skin. Many other soaps will dry your skin, but this soap actually keeps moisturizing after using it. Reishi is the name of the mushroom that provides Ganoderma Lucidum. This supplement is a blend of 6 different Reishi providing 250 milligrams of Ganoderma Lucidum extract per capsule. Providing those who take it the nutrients to maintain high health and well being. You will receive the best of the best from that wonderful Oriental red mushroom. This capsules are the friend of lovers everywhere. Blended with the Ganoderm extract, Panax Ginseng and Tongkat Ali, Sakanno provides stamina and energy along with intensifying sexual operations. Why use a man made substance when this all natural blend can provide all you need to enjoy life to its fullest? So, share this with your mate. I believe you will both be quite happy. This is a special blend made by Gano Excel that provides the health properties of Ganoderma Lucidum extracts, Tongkat Ali and Ginseng along with sucrose and non-dairy creamer to provide a smooth and enjoyable coffee experience. The Ginseng will provide energy and the Tongkat Ali has other wonderful health benefits. All this in a cup of coffee. This is a wonderful appetite controlling capsule manufactured by Gano Excel. It combines the Ganoderma extract with 2 great fruits: Tamarindo (I love tamarindo, as it grows all over where I live), and Garcinia Atrovirindis which grows in the Malaysian rainforest. The fruits combine to create hydroxycitric acid (HCA) which prevents the body from storing excess fat. So, if you are trying to control your appetite, this is a great product. It was discovered by Gano Excel that Ganoderma Lucidum when harvested young has many more vitamins, enzymes, minerals and proteins that can help the human brain functions. So Gano Excel, through their Noble Garden series, created Ganoderma Lucidum Mycelium and put it in these capsules called Excellium. Not only does Excellium help brain functions, it eliminates toxins and strengthens the immune system. Gano Excel offers that great chocolate experince infusioned with the Ganoderma Lucidum extract. The chocolate is from the highest quality cocoa beans and you will gain that energy you need with the extra benefits provided from the Ganoderma. Both children and adults love this Chocolate and Ganoderma drink. Simply put, Gano Excel took 6 species of the Ganoderma Lucidum red mushroom and put them together into one “super capsule.” It is known as the “Miraculous King of Herbs.” You will get the full extent of this mushroom royalty when you take this capsule. Many have claimed increased memory and brain functions, along with better digestion among other benefits. Do not let the idea of what this product comes from scare you off. Before I explain, I must first tell you that this has been shown to help lung function while increasing physical functions. It has even been shown to help leukemia patients, and has a wide range of medicinal effects that people in oriental countries rely on. These capsules are 100% Cordyseps Sinensis. Cordyceps is a fungus that grows from dead caterpillars. Keep in mind that many people have claimed great benefits from these, so don’t let the tought of where it comes from keep you from trying this great product. To go right along with your morning coffee, Gano has this wonderful breakfast meal that has oats, spirulina, sugar, non-dairy creamer and Ganoderma Lucidum. You will be receiving the vitamins and minerals needed to start the day along with the miraculous properties of the Ganoderma Lucidum extracts. Not only is it a great breakfast meal, you are receiving some great nutritional and health benefits. In #13, I mentioned the wonderful product called Excellium. Using the young Red Mushrooms called Ganoderma Lucidum Mycelium, it helps improve overall brain functions. Through testing, Gano Excel found that by mixing the Excellium withRoyal Jelly, they gained even higher benefits. The overall immune system is boosted and improves overall health. This product is loaded with Vitamin B which helps nerves. This coffee is infused with a blend of premium coffee beans, Ginseng, Ganoderma Lucidum extract and Tongkat Ali to provide a unique and marvelous beverage. It also has sugar and non-dairy creamer blended in. The taste is amazing…take it from someone who loves coffee! You will receive all the energy you need from the ginseng, and the Tongkat Ali which is known as Longifolia has also been used in the Far East for centuries as folk medicine. Get all the benefits in one cup of coffee. For those who like their coffee black, this is the perfect blend. Using prime Brazilian coffee beans, Gano Excel blended in the perfect amount of the Ganoderma Lucidum extract to provide a healthy classic black coffee that is enjoyable any time day or night. Not everyone likes to have creamers or milks in their coffee. Drink it black, or mix your favorite milk substance and/or sweeteners. This allows you to make your coffe your way, but still receive the health benefits of that mighty oriental red mushroom. Taking the Rooibos red tea from South Africa, Gano Excel infused the Red Mushroom known as Ganoderma Lucidum to create a delicious and health smart tea that is caffeine free. It is also a natural way to receive Super Oxide Dismutase (SOD) which is an antioxidant that holds a lot of power. The leaders at Gano Excel realized that not everyone enjoys coffee, but many love tea. This tea will give the flavor and health benefits your body desires. For me personally, this is my favorite, but it is at #4 in the standings when I take all other reviews in the mix. There is nothing better than Swiss cocoa blended with Ganoderma Lucidum, and both mixed perfectly with premium coffee beans. You receive a rich, and flavorful coffee that has healthy benefits. It just seems that Chocolate, Coffee and the Red Mushroom were meant to be together when I drink this. This chocolate drink is wonderful! As of late, scientists have discovered the health benefits of chocolate, and Schokolade is blended Swiss Cocoa with Ganoderma Lucidum along with skim milk, non-dairy creamer and refined sugar. It can be blended cold or hot; in a milkshake or with water, and it tastes great no matter how you make it. This drink has no caffeine and kids love it. What’s more: it has many health benefits. This soap manufactured by Gano Excel has been very popular. It cleanses and whitens the skin while also moisturizing it. Many other soaps actually dry the skin, but Gano Transparent Soap renews the skins properties. Using the wonderful properties of the Aloe Vera plant and the Papaya fruit infused with a blend of the miraculous Ganoderma Lucidum, this soap is gentle but powerful. Once you try it I doubt you will want to use any other soap. From what I see, this is the top selling Gano Excel product. I also believe this was the base product that began Gano Excel’s rise to excellence. This product utilizes high quality coffee beans that are infused with extracts from Ganoderma Lucidum (the red mushroom). It also has non-dairy creamer and refined sugar. It is said that as this beverage is being blended, the aroma is enough to awaken everyone in the house. I highly recommend trying this #1 product from the Red Mushroom experts at Gano Excel. These are my choices for the top 20 Gano Excel products. Do you agree with my choices? Please provide your favorite Gano Excel products in the comments area below. The benefits you receive in your health are numerous with Gano Excel products, but you can also benefit with wealth from Gano Excel. People all over the world have become independent distributors of the Gano Excel products and help their financial status by sharing the Gano Excel products. If you are interested in distributing Gano Excel products, I suggest you visit their website. For United States prospects you should go here, and for International prospects… here. 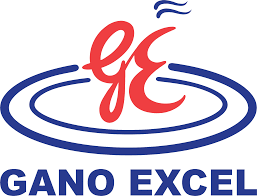 Disclaimer: Gano Excel is a registered trademark. Individual results will vary. We are not affiliated with the company in any way. This is not a PAID review. The products are not designed to treat, cure or prevent any disease. About the Author: Greg Boudonck is a full time freelance writer and a part time network marketer. With over 50 books published, and a variety of articles all over the world wide web, you can see more about Greg by visiting his website at Lancer Life.com.